In his final report to the Security Council, van Walsum also suggested that a sense of realism was required if the Parties were ever going to come to terms on a “mutually acceptable political solution” to the problem. Realistic – what does it mean and are the Parties any closer to embracing the idea? Can there be any solution for the Western Sahara without it? In his final report, Peter van Walsum described what it was not when he told the Security Council that independence for the region was not a realistic option. Of course, this earned him the ire of the Polisario and Algeria, and his tenure as Personal Envoy was soon ended. Nevertheless, he had finally said in public what the Parties had previously been told by James Baker, a previous Personal Envoy, as early as 2000. In his own attempts to get the Parties to settle on common ground as a prelude to serious negotiations, Baker had made clear to the Parties in private sessions that both independence for Western Sahara and full and unconditional integration of the territory into the Kingdom of Morocco were off the table as a starting point for serious talks. This word – realistic – is now ancient history in the search for a solution in Western Sahara, but the Parties are no closer to it today than they were nearly two decades ago when they heard it from James Baker. The problem here is that the Security Council continues to fail to give the term any specificity. Baker tried it twice, but neither all the Parties nor all on the Security Council were prepared to agree to either of his two attempts to define the broad terms of a bargain. 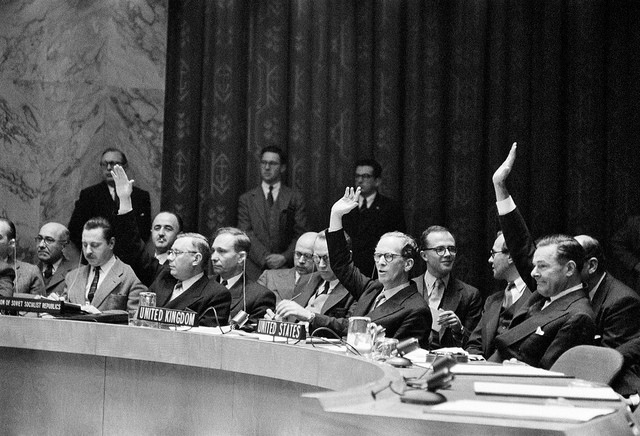 The Parties are still no closer, but it is possible that the Security Council could bridge the differences among themselves if they tried to work out those terms again today. Either the current Personal Envoy, former German President Horst Kohler, or the “Friends of the Sahara” group (US, France, Spain, Russia, Great Britain) needs to table a new proposal as the starting point for negotiations. If they fail to do this, there is no reason to believe that the Parties will come to it on their own. Recent developments on this issue would seem to indicate that there is at least some sense of a renewal of purpose within the Security Council, but a renewal of purpose will not get very far without another attempt to define this term – realistic – in a way that gives the Parties reason to believe that the Security Council has a firm sense of direction for new negotiations. It is not only the efficacy of longstanding UN peacekeeping operations that is at stake here. It is also the credibility of the Security Council as an institution capable of resolving serious international conflicts without leaving such matters in the hands of individual UN Member States to dispose of however they will and within whatever framework they choose.